Claire Jones, the UK’s best selling classical harpist and former Official Harpist to the Prince of Wales will be perfoming, along with percussionist Chris Marshall. Signum Brass. Continuing the Music Festival’s tradition of promoting emerging talent, we are delighted to have secured an outstanding brass quintet. Back by popular demand! 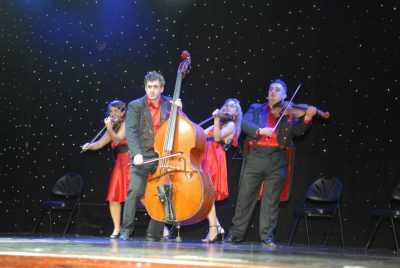 A string quartet with a difference – Graffiti Classics – will be performing their unique and hilarious music cabaret show, which proved a big hit in 2017.